This is a painting of a Linden Tree. 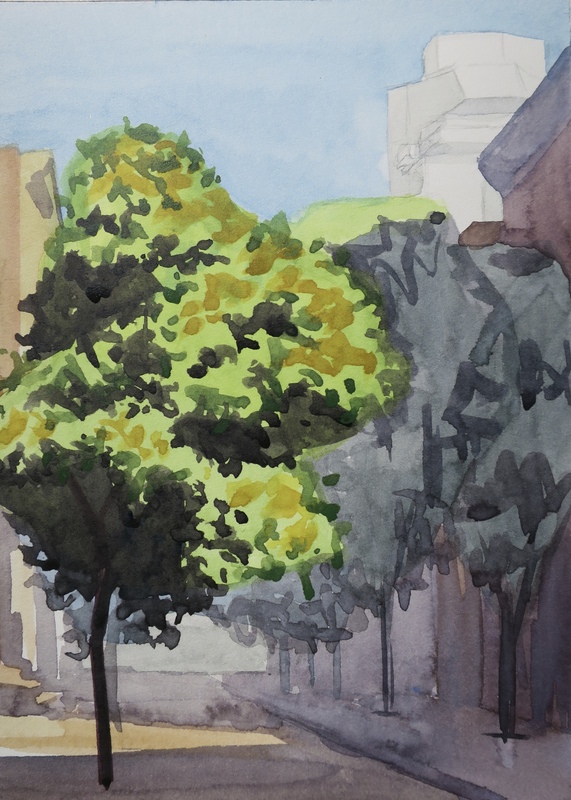 I focused on the tree itself as a kind of portrait of the often-seen, yellow blossoming Linden trees in the Lower East Side. It has these green-yellow puffs of, I think, flowers that just billowed out all over in late August and early September. The Linden Tree is a hardy tree often planted in urban environments.